Surprising, fearless, beautiful power pop. CD includes 12 page color booklet with lyrics, notes, photos. 11 new songs recorded in Los Angeles, Cincinnati and Adrian Belew's studio in Nashville. With appearances from Matt Malley (Counting Crows), Belinda Lipscomb (Midnight Star), Gerald Brown (Shalimar, Jody Watley), Krystal Peterson (Victor Wooten), L.A. sensation Bee Haskins, and members of The Bears / The Raisins / psychodots. Mastered by Richard Dodd. Wow! This album is excellent! I bought this CD at the Psychodots annual Thansgiving-Eve show at Gilly's in Dayton, along with a few other CDs. I was not disappointed. I have been listening to it several times a day since the show. Rob's creativity and story telling and cool melodies resulted in another collection of songs that are just a pleasure to listen to. The CD is really a great entertainment value when I think that I only paid $10 for this gift that keeps on giving every time I listen to it. All the songs on the CD are good, but my favorites are "Famous Last Words", "Play Your Guitar", and "life and Death Boogie". 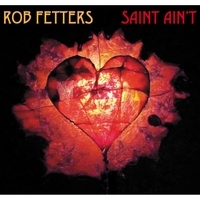 Looking forward to hearing and buying more Rob Fetters CDs , and seeing more shows with him and the talented musicians he collaborates with.